Street food clearly seems to be the flavour of the season. And it’s not Indian street food that I am talking about. First it was delectable street food at JW Marriott Sahar and recently I savoured lip-smacking Singapore Street food at JW Marriott Juhu at the Lotus Cafe. Chef Thanabalan Chandrasekaran had been flown in for the festival to lend that authentic touch to the food that JW Marriott is so particular about. So there were exciting Singaporean dishes to look forward to. Good food is a way of life in Singapore and there is so much to choose from – classic dishes, street food and modern interpretation of traditional cuisine. Showcasing local and authentic delicacies was Chef Thana’s aim and he did just that. The spread was aromatic and colourful. We began with the satays-chicken, fish and prawns. The peanut sauce infused with kaffir lime, struck me as unique and flavourful. I liked the fact that Chef was innovating the dishes, without tampering with their authentic flavours. The satays were grilled to perfection and simply melt in the mouth. What can I say about the bowl of Laksa? It was comforting. Soul food actually. 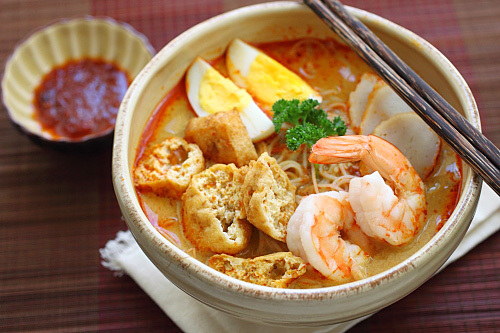 Each ingredient could be distinctly tasted in my sea food laksa. The flavours were delicate and yet, spicy and palate tingling. The aromas filled my nostrils even before I tasted the first spoonful. One of the best I have ever tasted in India. 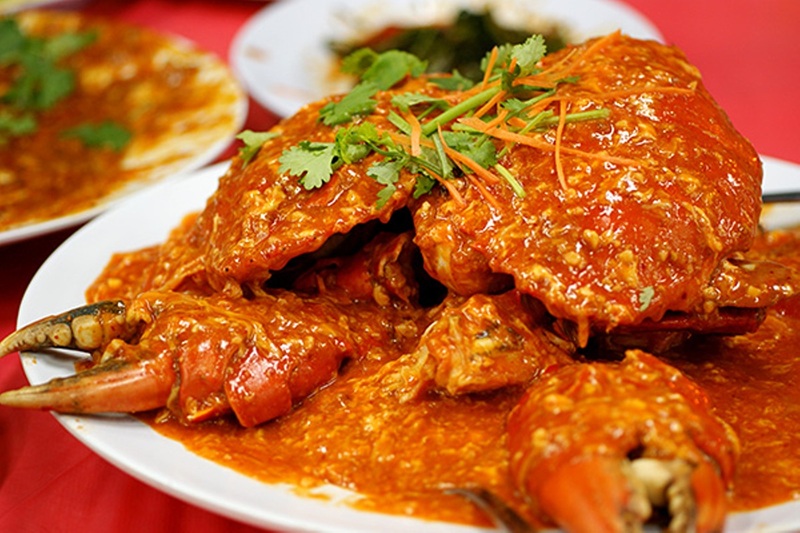 The famed chili crab was another treat. The sauce was spicy and teased my taste buds and the crab meat within the shell was soft and succulent. Other signature dishes included Rojak Petis Singapura, Gado-Gado Molek, Mutton Rendang, Singapura Chilli Crab, Soya Braised Duck & Stir Fried Pork Loin. The spread seemed a wee bit limited to me, if some one were to avoid red meat and duck. It was fun to watch the chefs at work at the live stations, adeptly grilling the satays or preparing the laksa. The quality of the ingredients was evident. Fresh and wholesome, Chef Thana had brought along several ingredients so as not to compromise on the taste and flavour of the dishes. Of course he visited the local markets and created dishes with local stuff too. No meal is complete without the legendary Singapore Sling which was being served complimentary to every guest. An enjoyable meal rounded off with a sago pudding, left me satiated. For me, the Laksa won hands down. Fans of Singapore food must rush and try this street food as it is on till Aug 31 only. This one’s worth a wok oops! Walk! My happiness knew no bounds as I discovered that Wok Express was opening in my neighbourhood. Well, almost. In Lokhandwala Andheri West. Just a longish walk away from home. To my utter surprise not only were my old favourites a part of the menu, but they have also introduced Sushi, I discovered. Something I have a terrible weakness for. I was ecstatic. And affordably priced? That was an added bonus. The veg cucumber cream cheese roll, was made to perfection. Melt in the mouth. 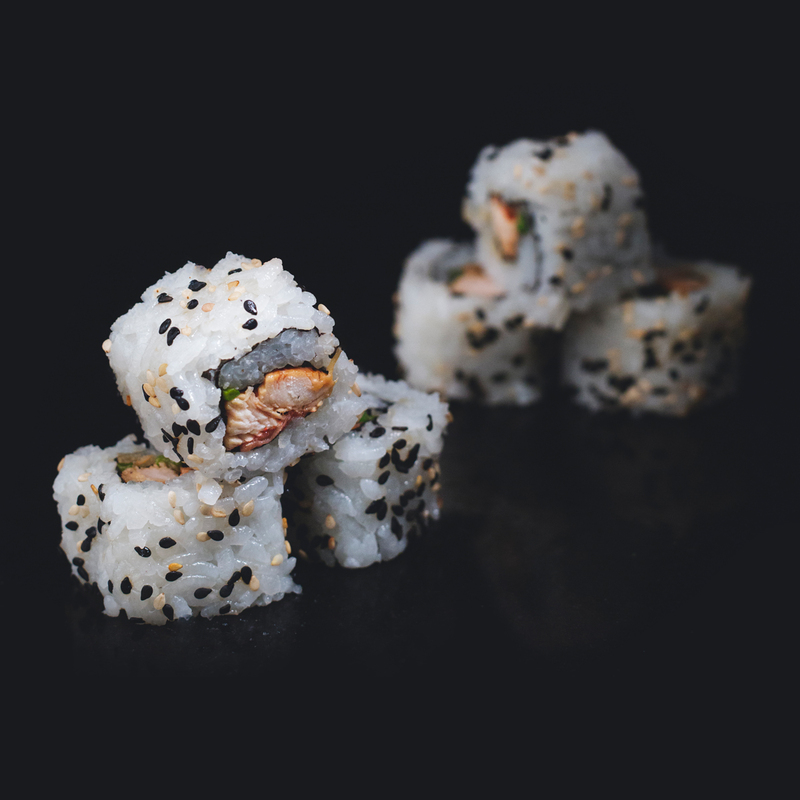 Equally delicious was the Veg california roll, every sushi’s lovers comfort item. The packaging struck me as so hygienic and classy. The orange chicken roll and teriyaki chicken roll swept me off my feet. Outstanding. The freshness of the high quality ingredients was evident. Flavoursome and an amalgamation of myriad textures. 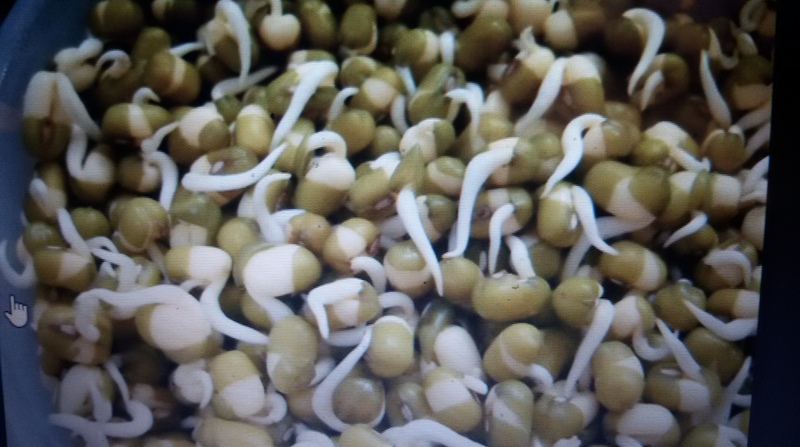 I could go on gorging on these. Of course I could not resist my favourite Edmame & Truffle dumplings. These never let me down. The creamy and crunchy textures, left me craving for more. And no visit to Wok Express is complete without the famous Bubble Tea. So, as always, we were sipping one. The chicken bun which I sampled for the first time, took me by surprise. With a generous tasty chicken filling, this steamed bun was light, yet, could fill you up easily. Totally, a value for money item. 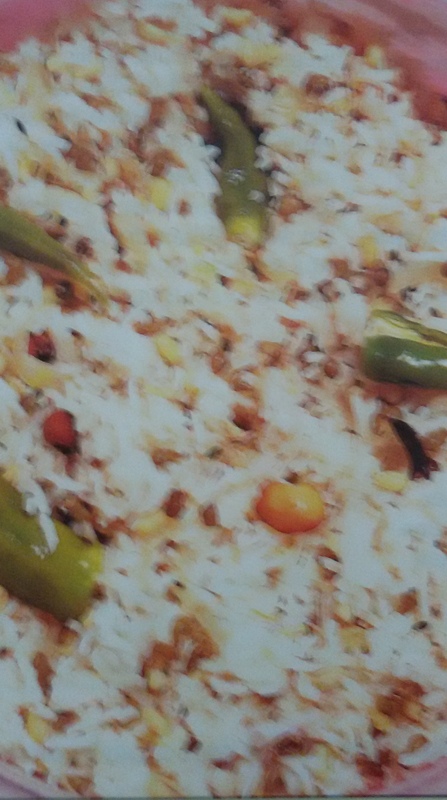 The chicken sticky rice and a vegetarian version too, are new inclusions in the menu. 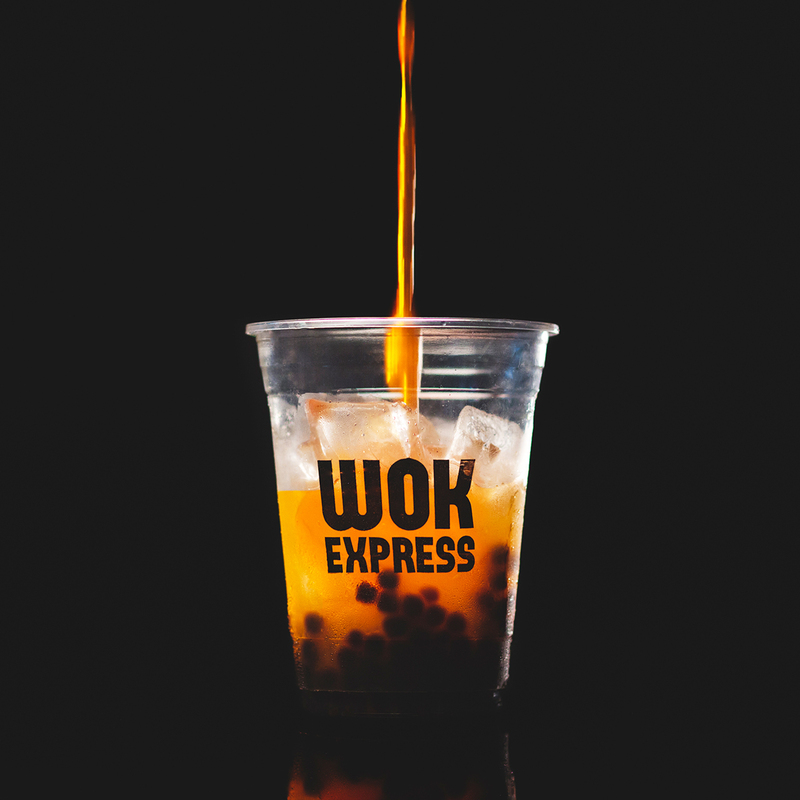 Clearly, there is a lot to choose from now at Wok Express outlets. The location of this Wok Express is of course its USP apart from the great, reasonably priced food. For once, I decided to skip the customised wok. Saved that for another day. Which means I am going back really soon !